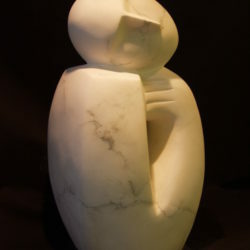 Nicola trained at Exeter and Wimbledon Colleges of Art gaining a BA Hons degree in Sculpture in 1990. 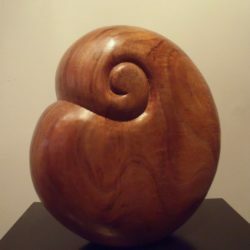 After leaving Art College she spent the next fourteen years carving in Wood, both figuratively and abstractly. 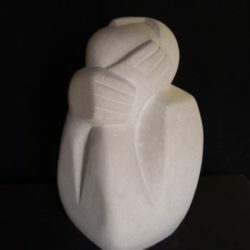 In 2004 she resumed carving in Stone, concentrating on the human figure and inspired by Jacob Epstein and Eric Gill, as well as Zimbabwean stone sculpture. 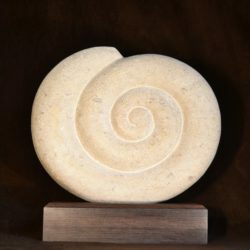 Up until 2013 Nicola had been working on a series of stone, plaster and wood pieces, inspired by organic forms in Nature which she uses in a more abstract translation of form using rhythm, line and curve. 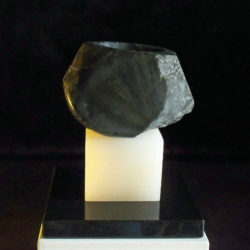 Her preference is for making larger pieces in plaster to be cast in bronze and occasionally resin. 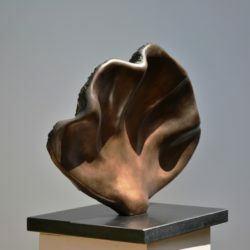 Calm and stillness is the mood of her bronze and resin sculpture with a sense of quiet life contained within each piece. 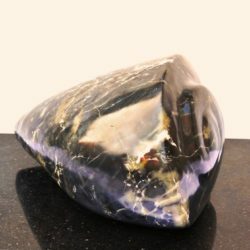 This quiet presence is the main consideration throughout her work. At the moment she is working on a number of plaster sculptures to be cast in bronze, this entire series, inspired by Christian water baptism, is based on a drop of water. Nicola has exhibited both abroad and widely throughout the UK, regularly in London, including at the Mall Galleries, The Royal Academy, The Menier Gallery SE1, The Osborne Studio Gallery, Knightsbridge and Cork Street. 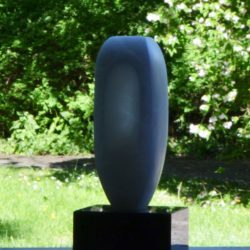 Her work is held in both public and numerous private collections in the UK as well as further afield in Germany, Hungary, Poland, Singapore and Australia. She works and lives in Cambridgeshire with her husband and two children. 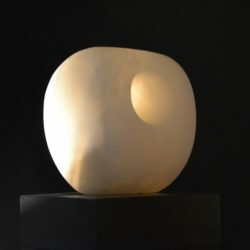 Nicola studied both Painting and Sculpture at Exeter College of Art and Design; she then went on to specialize in Sculpture at Wimbledon College of Art in London, gaining a BA Hons degree in Fine Art Sculpture. 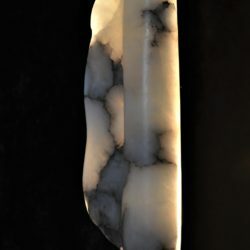 She makes large indoor pieces in plaster to be cast in bronze, alongside carving in alabaster and polyphant stone. She also paints large canvases when exploring a theme further in 2D. 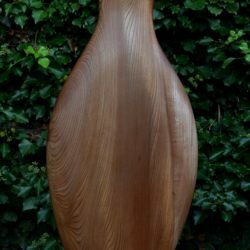 Since 2013 Nicola has been working on a series of sculptures and paintings inspired by God and water baptism focusing on water and light. 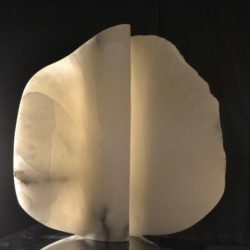 The sculptures consist of a number of stone and alabaster sculptures as well as several large plaster sculptures based on a water drop form to be cast in bronze. The paintings are mainly medium to large and painted in acrylics and oils, focusing on light and texture, similar to the sculptures. Her work has been exhibited both abroad and throughout the UK. London exhibitions and galleries include: The Royal Academy Summer Exhibition, The Mall Galleries, The Menier Gallery, Sotheby’s Art Gallery, The Gallery and Gallery 27 Cork Street. Alongside exhibiting, Nicola has completed a number of contemporary art commissions for both private and corporate clients in the UK, her work is also held in collections in Germany, Turkey, Poland, Hungary, Singapore, the Caribbean and Australia.